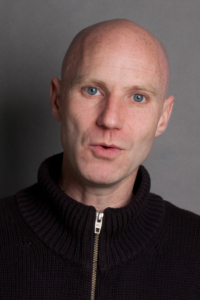 See Tony Burgess next on Friday 7th & Saturday 8th JuneIn the year of Our Lord Nineteen Hundred and Ninety Three, Tony Burgess won the prestigious North West Comedian Of The Year and came runner-up in So You Think You’re Funny at the Edinburgh Festival. Since then he’s travelled the length and breadth of the land getting paid to shout at strangers…..Ahhhh, good old Times New Roman.More recently Tony was nominated for best stand up and writer at the North West Comedy Awards. He’s played all the established clubs in the UK, performed as far away as Dubai and Abu Dhabi and supported household names such as Johnny Vegas on National Theatre tours.Briefly though, if you really want to know: Tony’s written plays for the Royal Exchange Studio Theatre in Manchester , he co-wrote the Sony award-winning Radio 4 comedy “The Nightclass” with Johnny Vegas and Tony Pitts, wrote on the first two series of BBC3 comedy “Ideal” and had his own seven part sitcom “The Visit”, which played on both BBC3 and BBC1.You may also recognise Tony from his fleeting role in the very same BBC3 comedy “Ideal”, where he played DJ Troy, Moz’s crazy, vinyl obsessed brother.